From your mood to your motor skills; serotonin is an important chemical that regulates a whole host of body systems, including your sleep cycle. 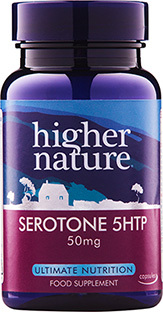 To support the natural production of serotonin, we’ve developed Serotone 5HTP supplements. They contain the amino acid 5HTP, which is essential for neurotransmitter production and can be found naturally in Griffonia simplicifolia seed, as well as added B vitamins and zinc. Take one at the end of the day to encourage a restful sleep. One 50mg 5HTP capsule typically provides: 50mg 5HTP, 5mg Vitamin B6, 2.5mg Zinc, 25µg Biotin, 50µg Folic acid, 15mg Niacin. 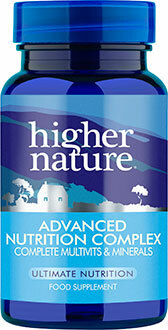 One 100mg capsule typically provides: 100mg 5HTP, 10mg Vitamin B6, 5mg Zinc, 50µg Biotin, 100µg Folic acid, 30mg Niacin. 50mg capsule: Take 1-2 capsules at the end of the day with a carbohydrate snack. 100mg capsule: Take 1 capsule at the end of the day with a carbohydrate snack. Consult your doctor if under medical supervision or taking prescribed medications. Not advisible if pregnant or if taking anti-depressant medication. Can cause drowsiness; do not drive or operate machinery if affected. If gastro-intestinal discomfort occurs, reduce intake .Not available in Ireland. I have been taking these for a few years now and wouldn't be without them, they do wonders for my mood, if i run out and do not take them for a few days i turn into the Hulk, they really do level me out and have got me through some stressful times. I have found taking this once daily for at least 2-3 days helps to improve my mood and I feel a better sense of wellbeing. 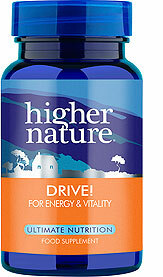 I have used 5HTP for many years and have found the Higher Nature tablets to be good quality, effective and from a trustworthy brand. 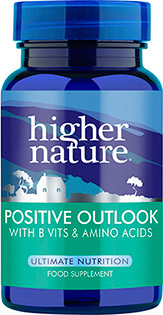 I use patches now more often than tablets, but would always trust Higher Nature for tablets. I buy supplements with the expectation that I won't notice any difference whatsoever. How wrong I was. The first night I took this I slept 3 hours longer than usual, in deep, uninterrupted sleep. Since then it has remained effective. Expensive, but recommended. Serotone 5HTP has been marvellous enabling me to get good quality sleep at night. I have being taking 5HTP for over year. I find it brilliant in the winter months. It helps lifts my mood. I used to dread change in season especially October/November now I find my mood much better. 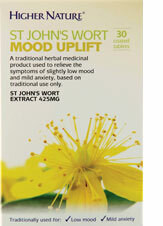 A great aid for a more relaxed feeling and happier mood. I take it at bedtime and I believe it helps me relax and sleep better. Great for any kind of depression or to help through difficult or stressful times. Serotone works miracles for my migraines.